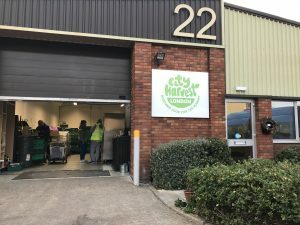 Before the holidays, I was invited to a networking event at the City Harvest HQ in Acton, London. I had met one of their founders, Laura, virtually on Twitter earlier, through discussing issues around surplus food. Food waste is one of my interest from early on as I have written about this earlier. The narratives around food are preoccupied by consumption, and is very much driven by marketing messages by food companies and retailers. Consumer demand is a concept which takes years to nurture and learn from. As it is fluctuated by so many different factors, food producers often find themselves producing many of these foods in excess. As we look at the most recent figures on food poverty which suggest despite these surplus food supplies, many people are still struggling to feed themselves and their families. 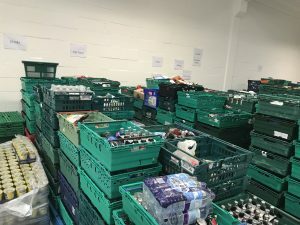 A lot of them turn to emergency food supplies which seem to have risen given to those who live in crisis. In this reign, we should be referring to food waste as a distribution problem and not an idea of waste. 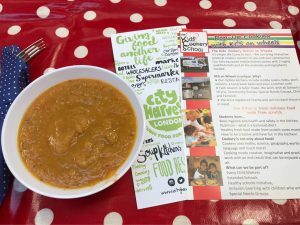 Charities such as City Harvest helps to fill the gap in re-distributing surplus food to centres which feed the hungry. Their team works long shifts to ensure fresh food gets delivered to centres which work with people in crisis. They try their best to meet requests from ready meals, to fruit and veg, carbohydrate, dairy and even pet foods. 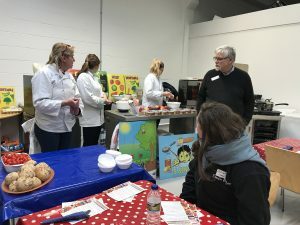 At the event on 30 November, a small group of stakeholders came together to break bread and lunch prepared by Kids’ Cookery School over discussions on how we could work better to relieve the issue of food poverty. As a nutritionist, I am concerned with the ways food is given to feed people, not just physically meeting nutritional needs, but also in socially and emotionally acceptable ways. One of the main issues with poor nutrition is social inequalities, but the lack of cooking skills is also key. Even when people are presented with food, the problem still lies if they don’t have the knowledge to prepare it. 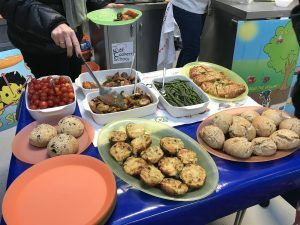 What the Kids’ Cookery School does fill this gap in empowering young children to learn how to cook which brings back to their families to make that small positive change.